Breaking: Nandamuri Suhasini To Enter Politics! TDP Leadership contemplated on making Nandamuri Kalyanram contest in the upcoming Assembly Polls in Telangana in a constituency dominated by settlers. However, The Actor turned down the proposal citing his plans to focus only on films for the next 10 years. Focus of the TDP Leadership has now shifted to Harikrishna's Daughter Suhasini. A Senior TDP Leader informed media, 'We thought it would be nice if an NTR Family Member contests from Kukatpally...be it Kalyanram or Suhasini. As Kalyanram wasn't interested, We brought the proposal of making Suhasini contest as TDP Candidate'. Seems like, Nandamuri Suhasini has already offered her consent to the TDP Leadership. An order was passed by TDP Supremo asking Peddireddy, who was supposed to be TDP Candidate from Kukatpally, to stop campaigning two days ago. 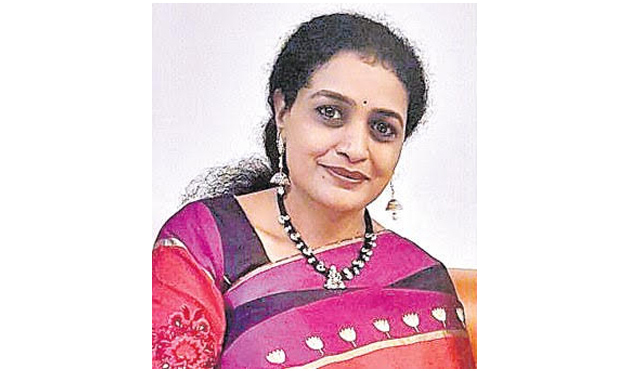 Nandamuri Suhasini happens to be the Daughter-in-Law of former MP Chundru Srihari. She have the support of her husband Srikanth for the political entry. What about Jr NTR and Kalyanram? Both the Brothers conveyed that they would always back her decision whatever it might be. Telangana Polls: War Within The Family! In Talk: Kodandaram's Double Sacrifice!